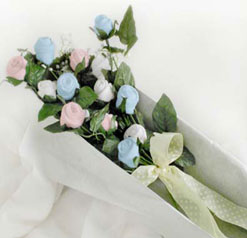 These good luck multicolor 12 roses are sure to give someone a confidence boost when they are given. A great gift for a traveler, retiree, or any occasion! Your gift will come with a greeting card.